Lord Skanda, the son of Lord Shiva fought with Tarakasura and destroyed the demon. The Demon Tarakasura had troubled the Devas or Celestial beings who are responsible for smooth functioning of the Universe as per the wish of the Supreme Lord. Tarakasura had prayed to Lord Shiva and had a powerful Shiva Lingam as a protective armor in his Chest. 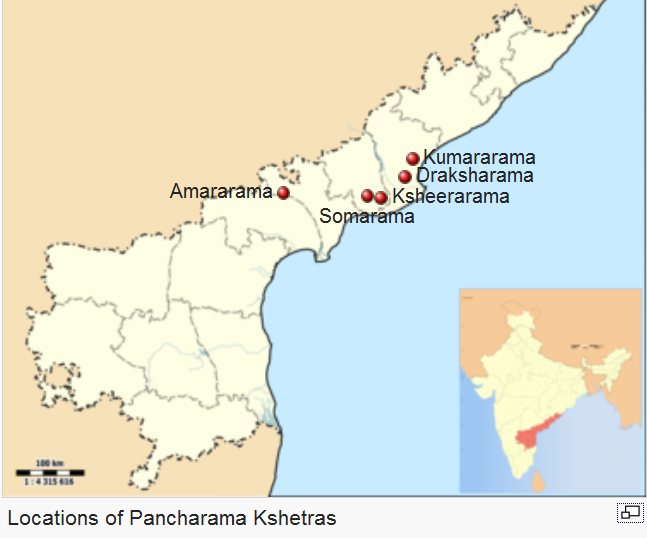 Before Skanda could kill Tarakasura, he had to first Break the Shiva Linga in Tarakasura’s neck into Five Pieces. In order to prevent the Shiva Lingam to reintegrate back into its original form, the Shiva Lingam had to be installed in the Five Places. 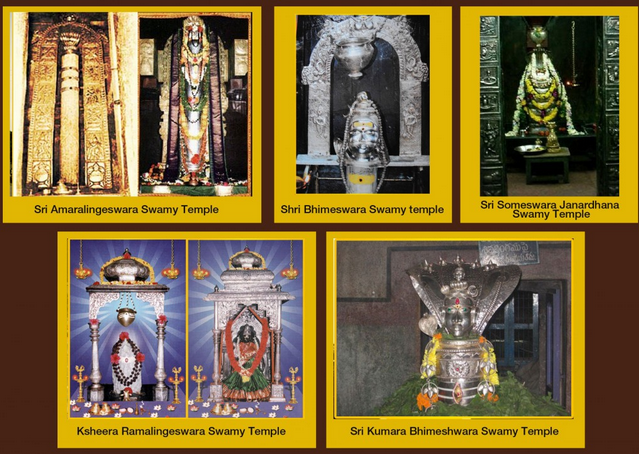 The Five Shiva Temples are known as Pancharama Shiva Temples.